I had intended to write a philosophical post about getting older, but I'll be real I got nuthin.' Today is my birthday and at the ripe old age of 34, it's still a national holiday in my world. I'll say it again. Since I'm always complaining that December birthdays get the shaft, Alan always makes a big deal out of my birthday and planned the day for us. 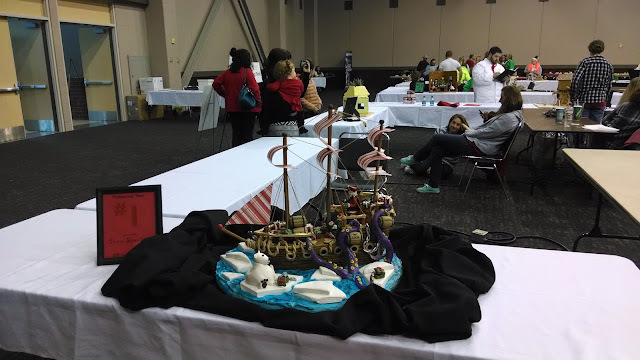 I had breakfast waiting when I got back from my run, then we went to lunch and then to the Candy Cane Holiday Express, which is the Evansville Philharmonic Orchestra's holiday kids concert. Sidenote - Alan had bought tickets several weeks ago but when I mentioned that I thought it would be fun to take the kids, he was like heck no, there's no way they'll sit through that and I wound up complaining about it to my saxophone sectionmate at my band concert last week...oops! He said that to throw me off....tricky tricky Alan! 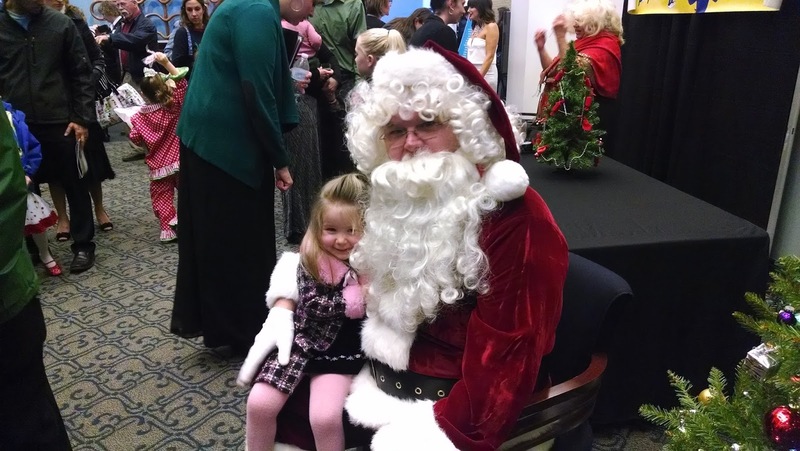 With Santa after the concert. It was the kids' first concert and I totally cried through most of it. It makes me so happy seeing them experience the things I love and after this afternoon, I have pretty much determined that my kids will be in music at some point in their life. 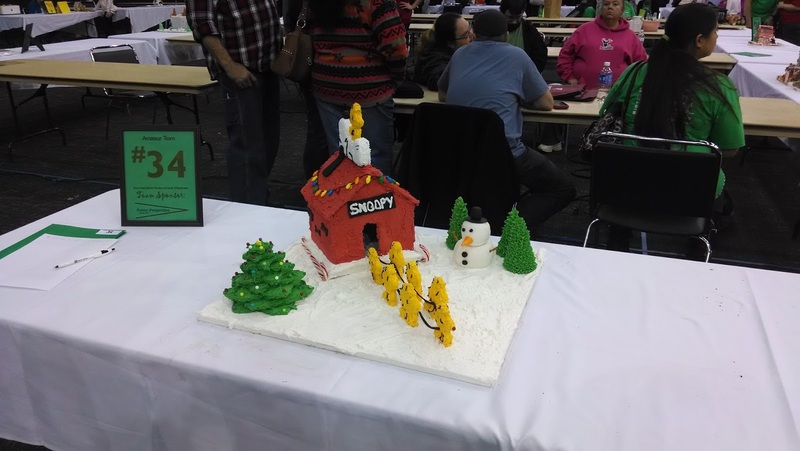 We then went to the very end of the local gingerbread competition. We missed most of the fun and only got to see the final creations, but it was still neat to see. Here are a few of my favorites. Our daycare provider is having a free childcare night tonight as her Christmas present to her daycare families so we dropped the kids off awhile ago and came home to eat my favorite Chinese takeout and watch The Holiday, one of my favorite movies. Kind of sounds like a lame ending to my birthday, but I wouldn't have it any other way after a busy day. Have You Ever Tried Garcinia Cambogia?